Archive by category "Flexiant Monthly Newsletter"
Flexiant Newsletter: Public Cloud Services Grow, Are Cloud Providers’ Opportunities Shrinking? Public Cloud Services Grow, Are Cloud Providers’ Opportunities Shrinking? AWS and Azure are leaders in cloud, more companies are moving to the public cloud, telcos want more of an opportunity and multi-cloud is a reality. There is a lot happening in the public cloud services market – does this mean more opportunity for cloud service providers or are these opportunities shrinking? This month we offer our take on these issues. 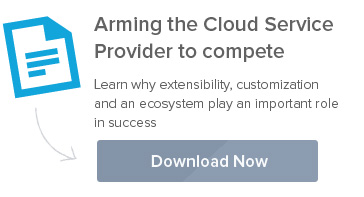 You can also read how some companies are making the most of multi-cloud with Flexiant Concerto. It’s hard to believe January is almost over. 1/12th of the way through the year, it is time for telcos and cloud service providers to take a hard look at the reality of their cloud offering. If it doesn’t involve value added services, multi-cloud availability or technical expertise beyond IaaS and tin, expect a bumpy revenue line and shrinking customer base in 2016. To help address these challenges, this month read our predictions for 2016 explaining why raw infrastructure will become even more of a commodity and the reasons behind the growing gap between successful cloud providers and those at risk of becoming ‘also rans’. Learn why organizations want simple and clear cloud relationships as well as more on why 2016 presents the chance to start a new year with a new cloud. If you are interested in Docker, Spark or Kubernetes, check out some of the resources and tutorials we’ve put together for you. As you take some time to enjoy your friends and family this holiday season, we wanted to first kick off our final 2015 newsletter to wish you a fruitful and happy holiday season from all of us at Flexiant. I would like to thank all of our customers and business partners for working with us in 2015 and look forward to ongoing relations in 2016. We wish you, your colleagues and your family a happy holiday season and a good start to a successful 2016!